Unfortunately for Burnett “dressing up” fails to do any justice to the massive effort of costume designer Madeline Fontaine and her team who clad the cast in far more than just neckwear and hosiery. Indeed Fontaine struggled to maintain the Sun King’s ever-changing wardrobe as a leading arbiter of taste in the sumptuous costume drama. “Previously you would see similarities to German fashion and some from the Dutch,” she told The Huffington Post. 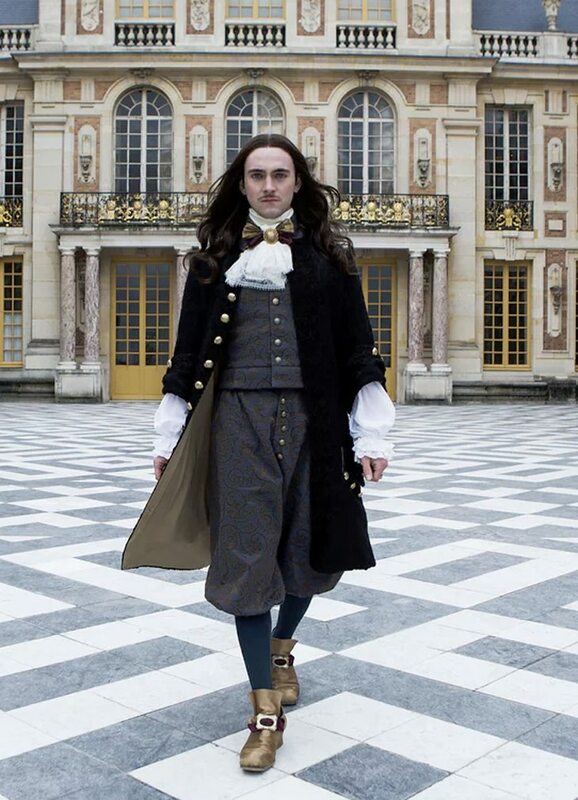 “But Louis XIV looked very different from rulers in other countries. When you see him and the queen of Spain, you see two very distinct styles. 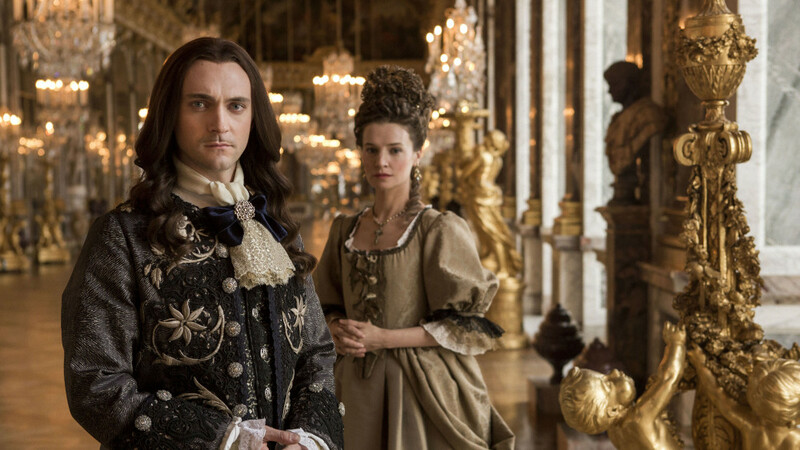 Fashions change from season to season in Versailles. We had to keep changing the things we made. We had to find a way to transition from the beginning to the end of each period. At the end of the first season, Louis was wearing a short vest. We had to change to a longer vest. Comfort was not the first prerequisite. Most of it was not comfortable at all,” she said. No one was spared the layering of vital undergarments. “It’s a series where characters get undressed quite often. Women were wearing three layers of skirts, coined ‘la discrète,’ ‘la friponne’ in silk and ‘la secrète,’ which was quilted from the above to the under side,” said Fontaine. However the famous red heels won favour from Blagden. ““Now I understand why people wear them. They do wonders for your confidence,” he said. 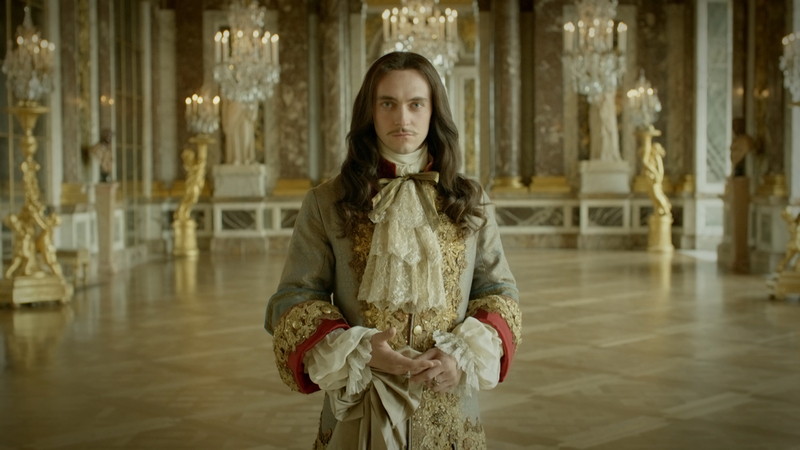 Despite Blagden’s comment on no half-measures in Versailles, Fontaine has said she took a bold move for aesthetic reasons to shift the style by a few years so that viewers were not deterred by rather extreme fashions of Louis’ accession.